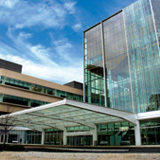 Dr. Vonderheide is employed by Penn Medicine. 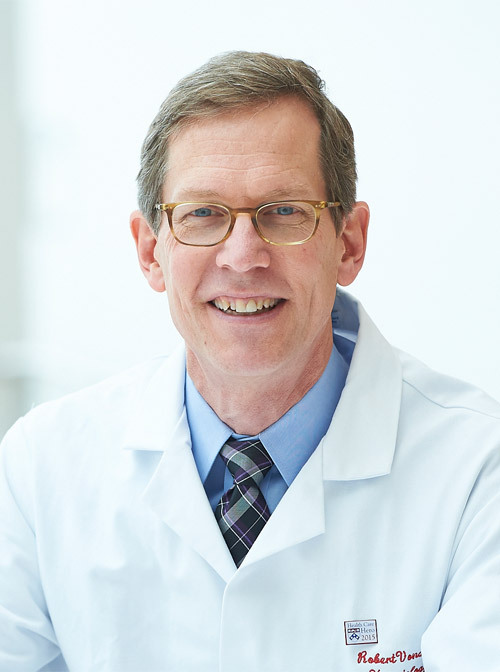 Dr. Vonderheide is an internationally renowned cancer immunotherapy and translational research expert. Through a focus on novel immunotherapies for pancreatic cancer, melanoma and breast cancers, Dr. Vonderheide has mapped new models for speeding translational - or "bench to bedside" research. He is currently the Director of the Abramson Cancer Center. Bajor David L, Xu Xiaowei, Torigian Drew A, Mick Rosemarie, Garcia Laura R, Richman Lee P, Desmarais Cindy, Nathanson Katherine L, Schuchter Lynn M, Kalos Michael, Vonderheide Robert H: Immune Activation and a 9-Year Ongoing Complete Remission Following CD40 Antibody Therapy and Metastasectomy in a Patient with Metastatic Melanoma. Cancer immunology research 2 (11): 1051-8,2014. Condamine Thomas, Kumar Vinit, Ramachandran Indu R, Youn Je-In, Celis Esteban, Finnberg Niklas, El-Deiry Wafik S, Winograd Rafael, Vonderheide Robert H, English Nickolas R, Knight Stella C, Yagita Hideo, McCaffrey Judith C, Antonia Scott, Hockstein Neil, Witt Robert, Masters Gregory, Bauer Thomas, Gabrilovich Dmitry I: ER stress regulates myeloid-derived suppressor cell fate through TRAIL-R-mediated apoptosis. The Journal of clinical investigation 124 (6): 2626-39,2014. Zhang Yaqing, Yan Wei, Mathew Esha, Bednar Filip, Wan Shanshan, Collins Meredith A, Evans Rebecca A, Welling Theodore H, Vonderheide Robert H, di Magliano Marina Pasca: CD4+ T lymphocyte ablation prevents pancreatic carcinogenesis in mice. Cancer immunology research 2 (5): 423-35,2014. Richman Lee P, Vonderheide Robert H: Role of crosslinking for agonistic CD40 monoclonal antibodies as immune therapy of cancer. Cancer immunology research 2 (1): 19-26,2014. Mueller Christian, Chulay Jeffrey D, Trapnell Bruce C, Humphries Margaret, Carey Brenna, Sandhaus Robert A, McElvaney Noel G, Messina Louis, Tang Qiushi, Rouhani Farshid N, Campbell-Thompson Martha, Fu Ann Dongtao, Yachnis Anthony, Knop David R, Ye Guo-Jie, Brantly Mark, Calcedo Roberto, Somanathan Suryanarayan, Richman Lee P, Vonderheide Robert H, Hulme Maigan A, Brusko Todd M, Wilson James M, Flotte Terence R: Human Treg responses allow sustained recombinant adeno-associated virus-mediated transgene expression. The Journal of clinical investigation 123 (12): 5310-8,2013. Beatty GL, Torigian DA, Chiorean EG, Saboury B, Brothers A, Alavi A, Troxel AB, Sun W, Teitelbaum UR, Vonderheide RH, O'Dwyer P: A phase I study of an agonist CD40 monoclonal antibody (CP-870,893) in combination with gemcitabine in patients with advanced pancreatic ductal adenocarcinoma. Clinical Cancer Research : [Epub ahead of print],2013. Bayne LJ, Vonderheide RH: A myeloid-derived suppressor cell-mediated T-cell suppression assay for functional evaluation of immune cells in tumor-bearing mice. Cold Spring Harb Protoc. 2013 (9): 2013. Markosyan N, Chen EP, Evans RA, Ndong V, Vonderheide RH, Smyth EM: Mammary carcinoma cell derived cyclooxygenase 2 suppresses tumor immune surveillance by enhancing intratumoral immune checkpoint activity. Breast Cancer Research 15 (5): R75 [Epub ahead of print],2013. Vonderheide RH, Burg JM, Mick R, Trosko JA, Li D, Shaik MN, Tolcher AW, Hamid O: Phase I study of CD40 antibody CP-870,893 in combination with carboplatin and paclitaxel in patients with advanced solid tumors OncoImmunology 2 : e23033,2013. Meisel JL, Domchek SM, Vonderheide RH, Giobbie-Hurder A, Lin NU, Winer EP, Partridge AH: Quality of life in long-term survivors of metastatic breast cancer. Clin Breast Cancer 12 : 119-126,2012.